Now THIS is how you cut a watermelon! 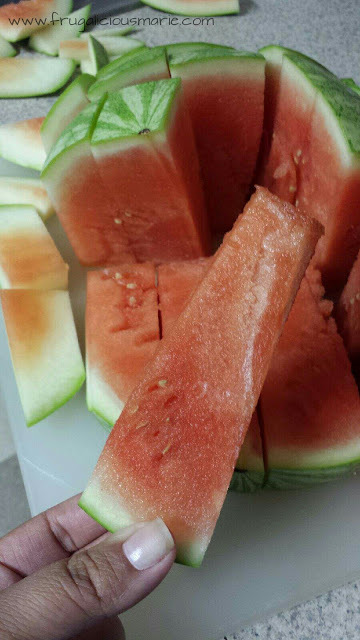 I haven't eaten a watermelon is a very long time and when I do, I buy it pre-cut because it's a pain to cut. 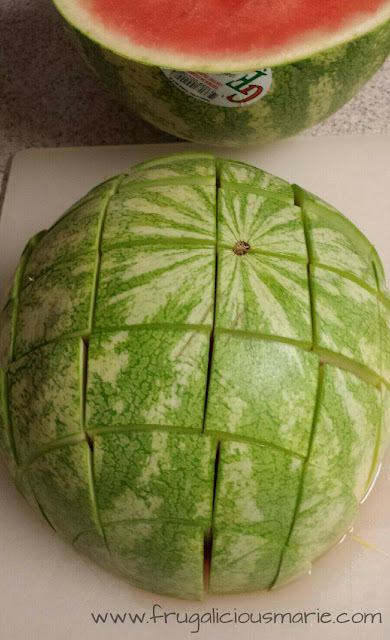 That is until I found out how to cut a watermelon this way! 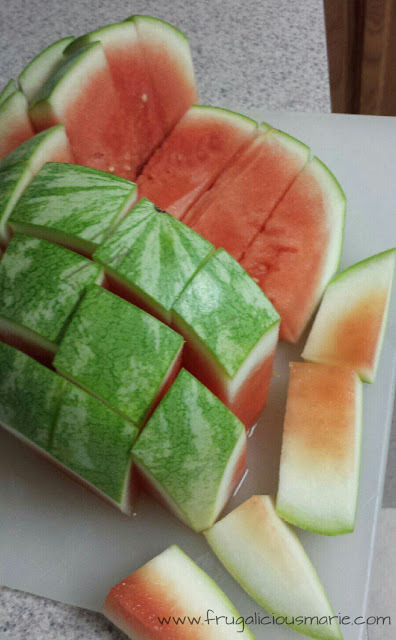 It's easy, quick, and perfect for those summer picnics. It's very simple. 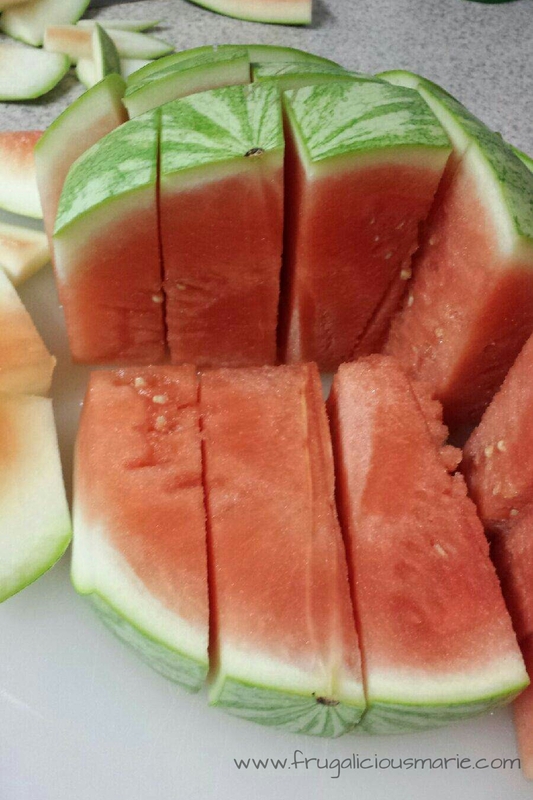 You cut the watermelon as if you were cutting an onion! You won't have to worry about any edges at all. As you can see, some of the edges can go straight to the garbage. Perfect little rectangles! Prop these babies on the picnic table and I'm sure they will be a hit. Let me know how made out.